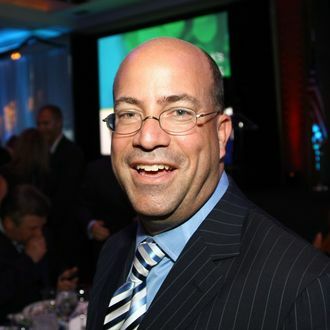 It’s Jeff Zucker’s job to make CNN relevant again, and he’s doing it the only way he knows how. The network announced today that former Good Morning America anchor and the governor’s brother Chris Cuomo is leaving ABC in an attempt to save the mornings at CNN. Zucker, as explained by Vulture’s Josef Adalian, first made his name in the morning infotainment game, jump-starting NBC’s Today show into dominance. And CNN could use the jolt: Currently in Cuomo’s soon-to-be slot is Soledad O’Brien’s Starting Point, which last year tallied fewer total viewers in the a.m. hours than any time over the last decade. Zucker has also added John Berman as a co-host to Early Start, the network’s 5 to 7 a.m. show, along with Jake Tapper, the star White House correspondent who will transition this year into anchor-dom. To make room for his team, Zucker is also doing some housecleaning: Fishbowl D.C. reports that husband and wife Mary Matalin and James Carville will not renew their contributor contracts at CNN, with Bill Bennet and Maria Cardona also moving on. “I was told that they wanted the contributors to be more available — essentially, closer to Washington,” Carville told Politico. “I’m not always available, I don’t live there.” He said it was not his choice to leave. Meanwhile, Erick Erickson, the Red State blogger turned professional righty pundit, will leave CNN for Fox News, which has a Sarah Palin–size hole to fill.